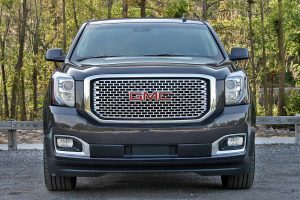 We took the new Yukon on a road trip recently to the mountains of Western North Carolina to enjoy the fall leaves, and get recharged. On the drive, while I was getting goosed (not that I was enjoying it or anything), I started thinking how we go through our careers, many of us asleep at the wheel. With the research continuing to show that the disengagement rates are still in the 70% range, and that 80+ percent of us don’t have passion for the work that we do. How nice it would be if we could have an office chair with a goose in it. As soon as we start to doze off, or start to take a wrong turn, we would get a goose to help straighten us up. The key is to use your turn signal. If you plan for where you are going, then you can use the signal, and you are able to make the turn, or make the change, or take that risk, or follow your dream. And planning for your future is key today to keeping on that path to success. Nobody is going to do that for you. In my book, Maneuvering Your Career, 20 Strategies to Prepare You for Voluntary (or Involuntary) Career Transition, I help put you in the driver’s seat. And as a Certified Professional Coach, I can be your goose, to help you achieve your goals – so you can use your turn signal.